Baseball has been in my blood since I was six years old. Back in 1960, my father took my brother and me to our first game at the Los Angeles Coliseum where we watched the Pittsburgh Pirates beat the Dodgers 5-2. I can still see the right fielders for both teams: Frank Howard for the Dodgers, Roberto Clemente for the Pirates. *run the bases at a public open house at Dodger Stadium shortly before it opened. 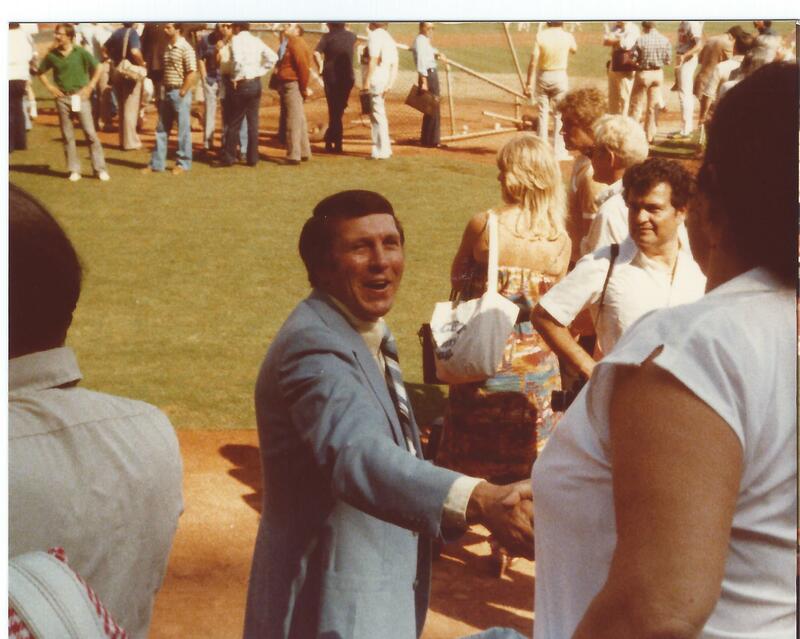 *attend the groundbreaking of Anaheim Stadium on July 31, 1964 … and I kept dirt from the home plate area for years. *go to the All-Star Game in Anaheim in 1967 … a game that went 15 innings until Tony Perez hit a home run off Catfish Hunter. *attend various playoff games and two World Series games. *see games at Wrigley Field (Chicago), the old Comiskey Park (great park! 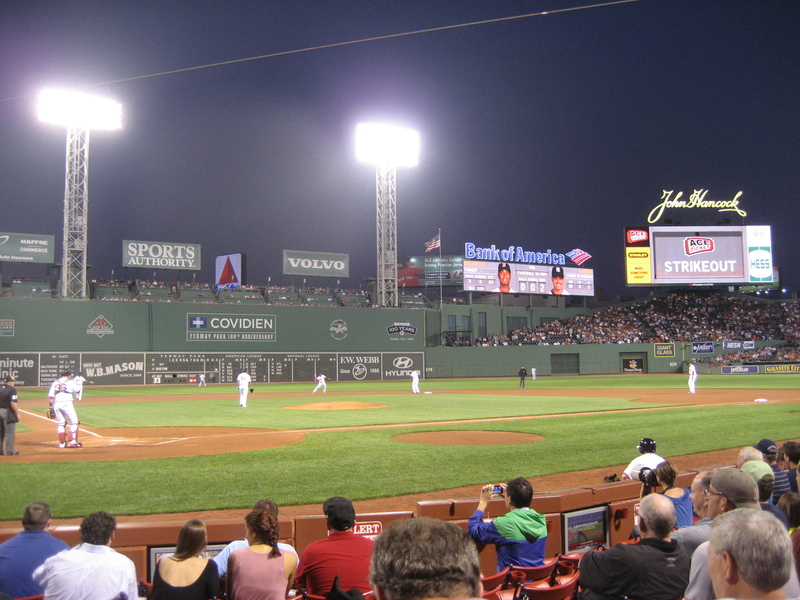 ), Fenway Park, Camden Yards, and Yankee Stadium, among many ballparks. When I was 13, I discovered that every player in the American League was staying at the Grand Hotel in Anaheim – only 3 miles from my house – for 3 road trips every year. All my friends in our neighborhood discovered this, too. Including exhibition games, Old Timer games, and that All-Star game, I met players like Joe DiMaggio, Jackie Robinson, Willie McCovey, Tom Seaver, Al Kaline, Pete Rose, and Rod Carew. Some were pleasant … others were businesslike … and a few were downright mean (like Early Wynn and Elston Howard), but wow, what a great time my friends and I had growing up! Years ago, I made a list of my favorite players, and recently condensed it to just 10. I’ll share favorites 10 through 6 today and 5 through 1 next time. Besides the fact that Clemente played in the first game I ever attended, I admired his flair. 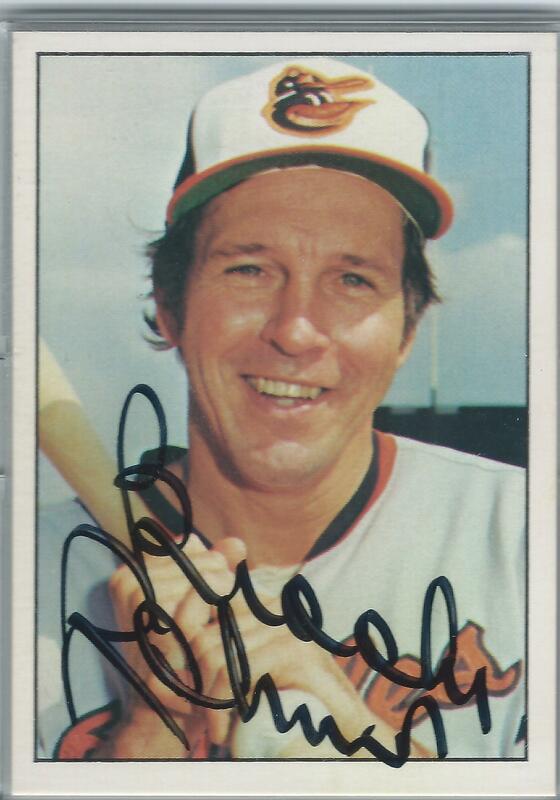 He won 4 batting titles … dominated the Orioles in the 1971 World Series … and ended up with exactly 3,000 hits. I watched him play at Dodger Stadium in 1966 … and what an arm he had! An absolute cannon. 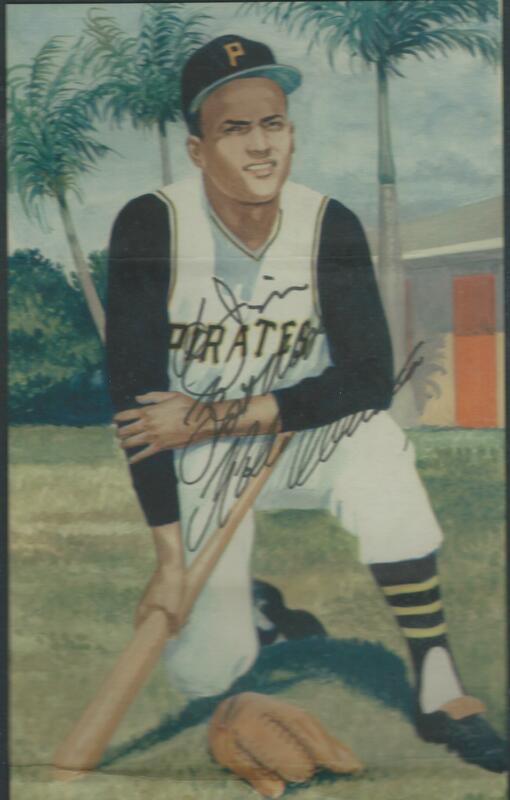 On the Sunday before the All-Star game in 1967, I was at the Grand Hotel waiting for players to check in, and Clemente was spotted walking along the road He looked regal in his blue suit and signed for everybody … maybe 30 people. 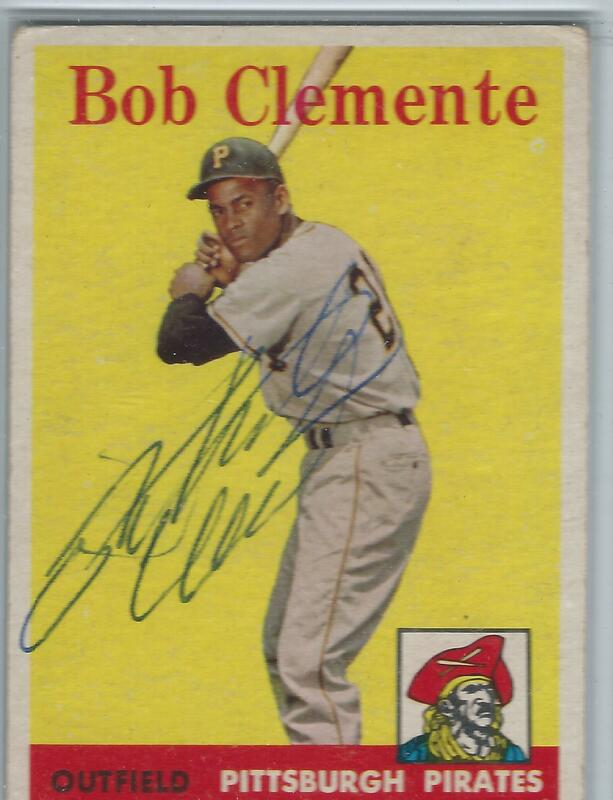 Sometime after that, I learned that if you wrote Clemente during the season, he would sign everything you sent him … so my brother and I did just that. Several years ago, I read most of the book Clemente by David Maraniss, but I can’t finish it because I don’t want to read about Clemente’s tragic airplane death on January 1, 1973 while taking relief supplies to Nicaragua. 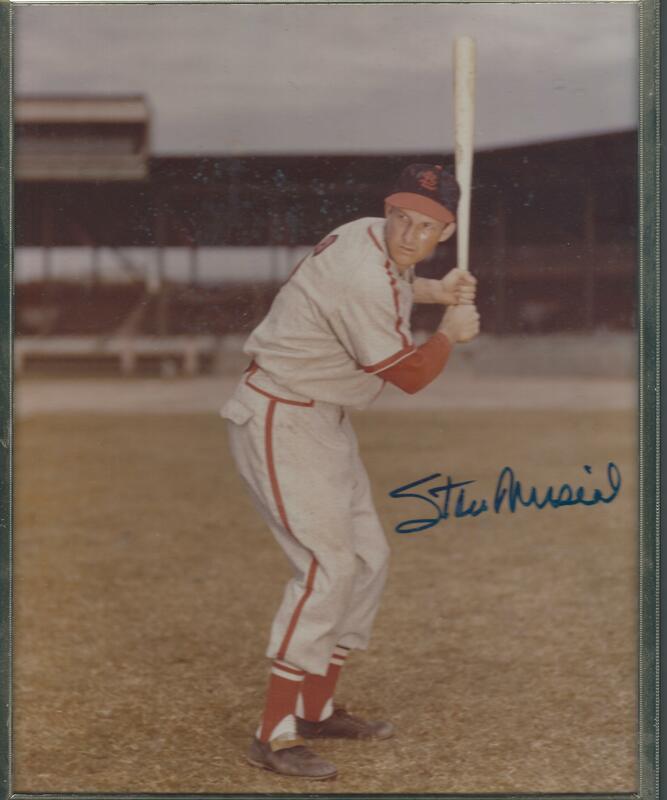 Stan the Man played his entire career for the St. Louis Cardinals, amassing 3,630 hits: 1,815 on the road, 1,815 at home. How’s that for consistency? I read a biography on his life as a kid and was amazed at his greatness. He won 7 National League batting titles and 3 MVP awards. Musial’s last year was 1963, and when the Cardinals came to Dodger Stadium that September, the Dodgers announced they were going to hold a Stan Musial Night on Thursday evening. I was determined to go, even though I was only 9 years old. I asked my dad if we could go, and he said no. But I wouldn’t give up. 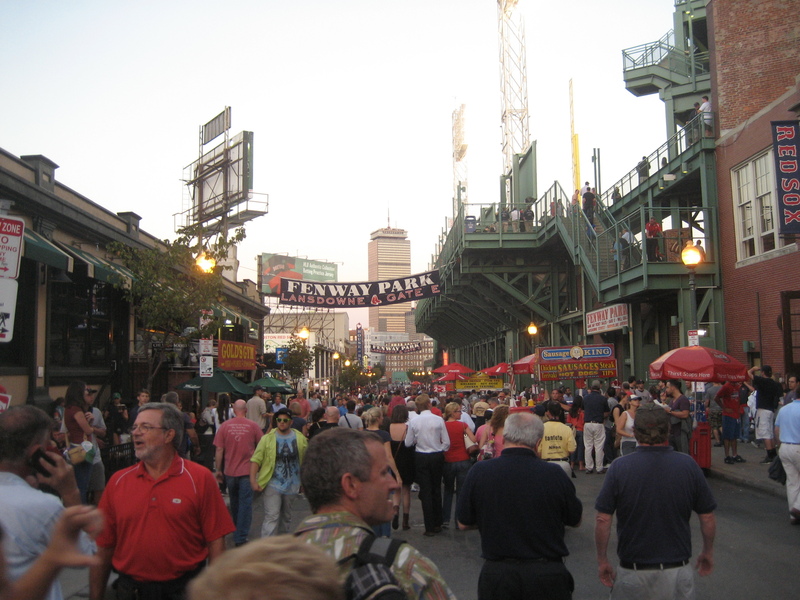 Call me stubborn … manipulative … or spoiled … but I WANTED TO GO TO THAT GAME! So I went to my room and cried … and screamed … and yelled bloody murder. The neighbors must have felt that my parents were engaged in some radical form of abuse. They finally relented and our entire family went to the game … but we sat so high up that we couldn’t see much. 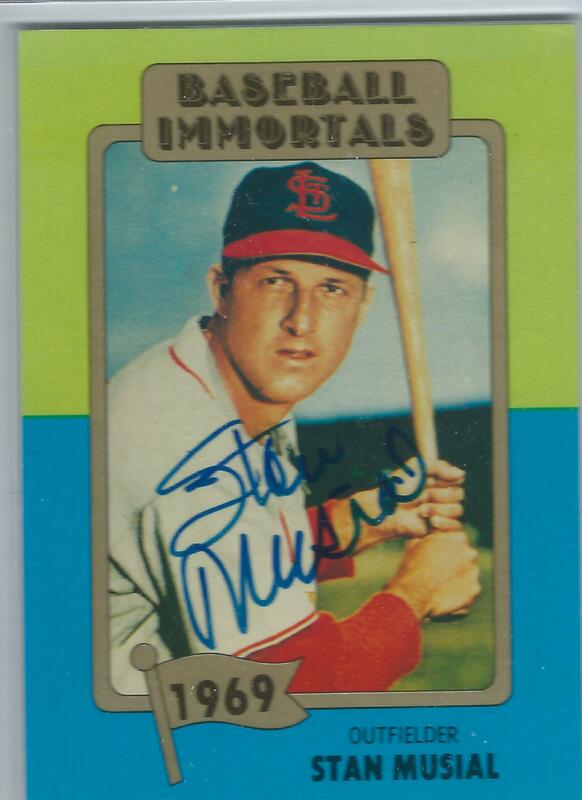 I only had two encounters with Musial … and was thrilled to get his autograph at the All-Star Game in 1967 after a meeting of general managers. He was a classy man … and the greatest Cardinal of them all. 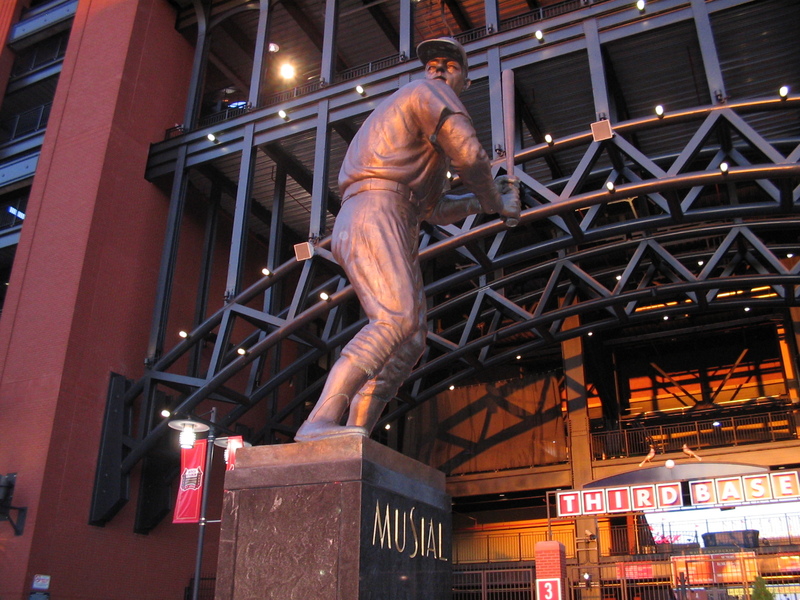 That’s why this statue of Stan the Man is in front of Busch Stadium in St. Louis. One Saturday in 1972 – when I was 18 – I drove to San Diego with 2 friends. We visited the Town and Country Hotel because the Dodgers were staying there. Sometime during the afternoon, Steve and Cyndy Garvey started talking to the three of us. They were SUPER nice. This was long before Steve was an All-Star and Cyndy co-hosted a TV show in LA. We must have talked to them for 20 minutes. I’ve never forgotten how pleasant they were. 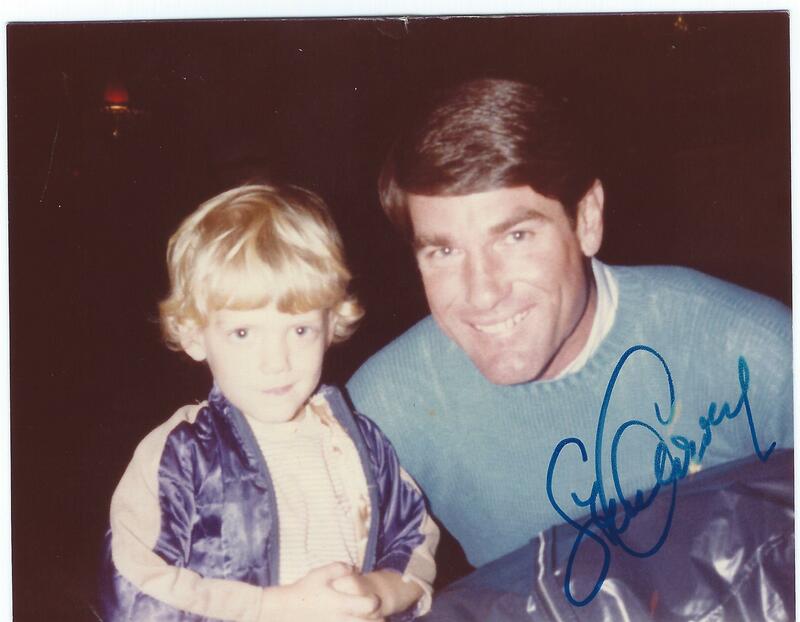 Two years later, Steve Garvey was the regular first baseman for the Dodgers and the Most Valuable Player in the National League … long before he received any bad press. I admired Garvey’s ability to hit to all fields … dig errant throws out of the dirt … and hit in the clutch. He was always a winner. 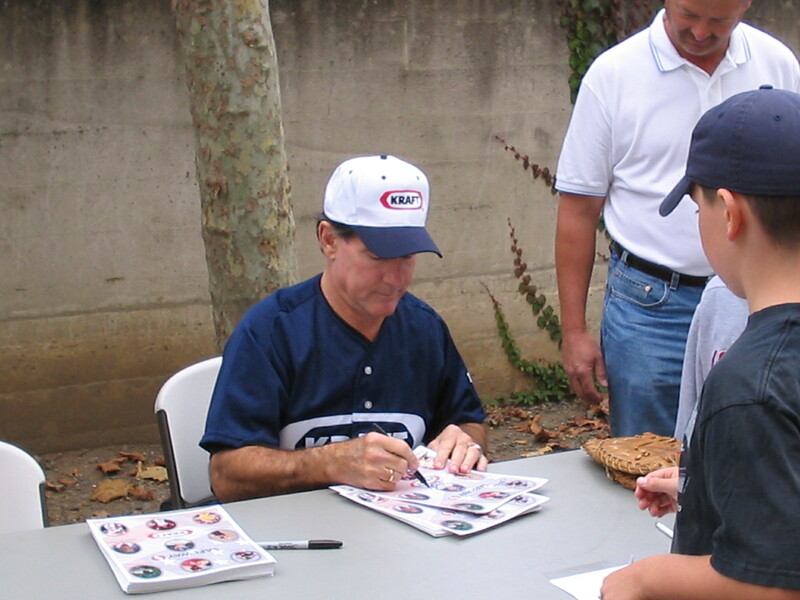 In addition, Garvey was always great to his fans … signing autographs … posing for pictures … and acting like he enjoyed it … like in this photo with my son Ryan. A few years ago, I saw him at a benefit softball game, and told him that I believed he was Hall of Fame worthy. He sincerely thanked me. 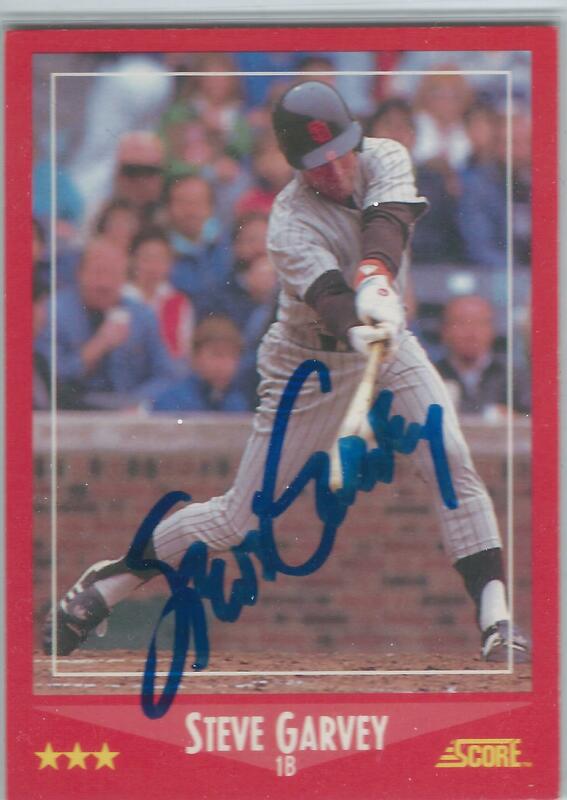 Steve Garvey remains a great ambassador for baseball. To this day, if I ask my friends, “Who were the two nicest players in the American League when we collected autographs?”, they always answer: Harmon Killebrew and Brooks Robinson. And both were superstars. I liked Brooks because he was always kind and personable with his fans. In The New Bill James Historical Baseball Abstract, James rates Brooks the 7th greatest third baseman of all-time … and then goes on to write about nice and not-so-nice players … crowing Brooks The King of Nice Ballplayers. Several years ago, my wife and I visited the San Diego Sports Hall of Fame in Balboa Park. The baseball exhibits focused on two Hall of Fame ballplayers: Ted Williams and Tony Gwynn. I cried my way through the whole thing. Ted is a legend in San Diego. 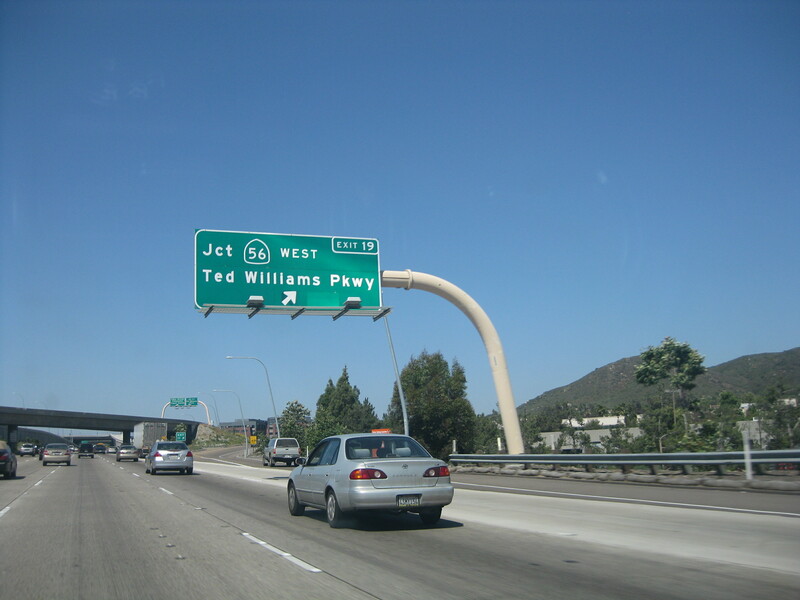 There’s even a parkway named after him off Interstate 15. But Ted Williams … whose mother devoted her life to the Salvation Army in San Diego … was a brutally honest but moody man. In my view, Ted was the greatest hitter who ever lived. He won 7 American League batting titles … hit 521 home runs (including one in his last at-bat) … and hit .342 lifetime. He also hit .406 in 1941, the last player ever to hit .400 in a single season. (Tony Gwynn hit .394 in 1994 but fell short.) 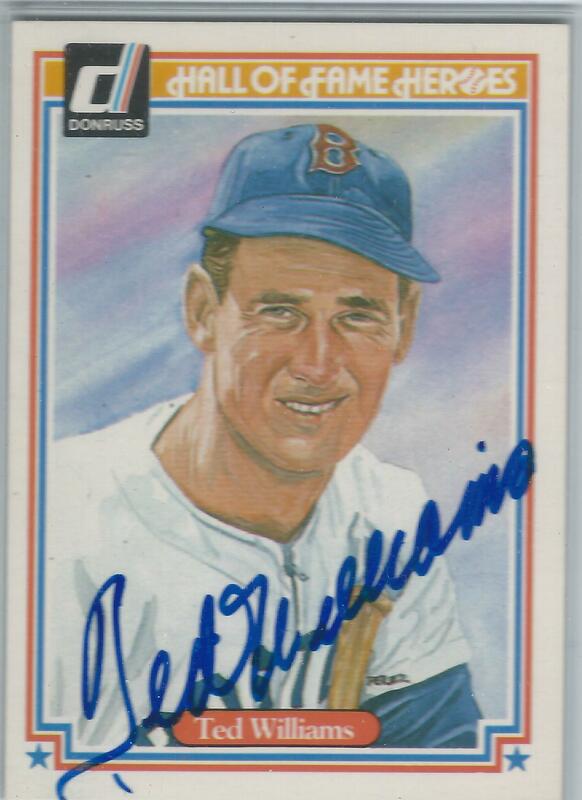 Since he retired in 1960 – the year I became interested in baseball – I never saw Ted play. On those few occasions I saw him in-person, he had a presence about him. He was movie-star handsome and plugged all kinds of products. But he loathed pitchers … as well as sportswriters. But when kids were around, The Kid changed completely. In 1969, Ted became the manager of the expansion Washington Senators. When the team came to the Grand Hotel late in the season, only my brother and I showed up for autographs. Ted came out late in the afternoon and sat on a shoeshine chair by the pool and starting reading a newspaper. He scared me to death. But my brother John … who was 13 at the time … went up to Ted and they started conversing. Ted looked through John’s baseball cards … many of which were of Ted himself! Ted probably talked to John for 15 minutes and seemed genuinely interested in him. I wish I had just one photo of that meeting. 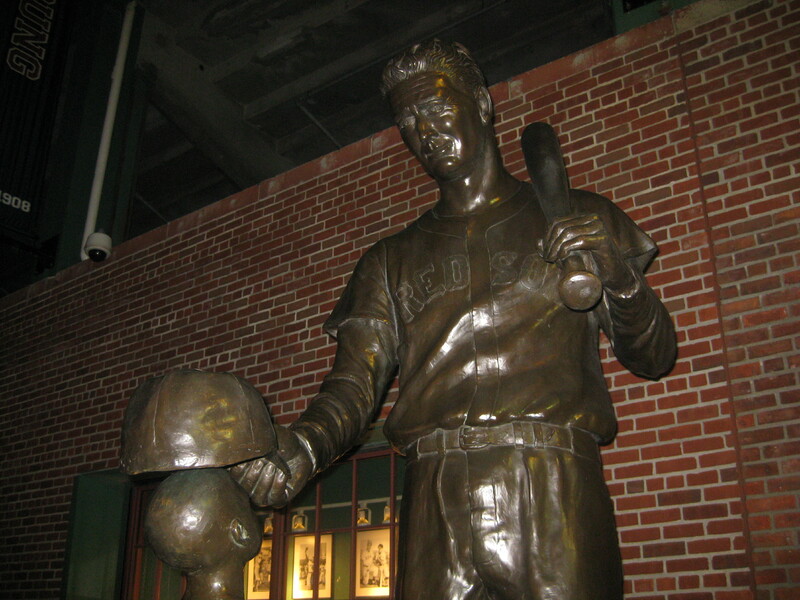 There’s a statue of Ted Williams outside Fenway Park in Boston. It’s hard to see at night, but it shows Ted’s interest in a boy … just like my brother. I’m fascinated by deeply flawed people who do great things, and Ted certainly falls into that category. Who are my Top 5 ballplayers of all time? I’ll share that post on Opening Day. 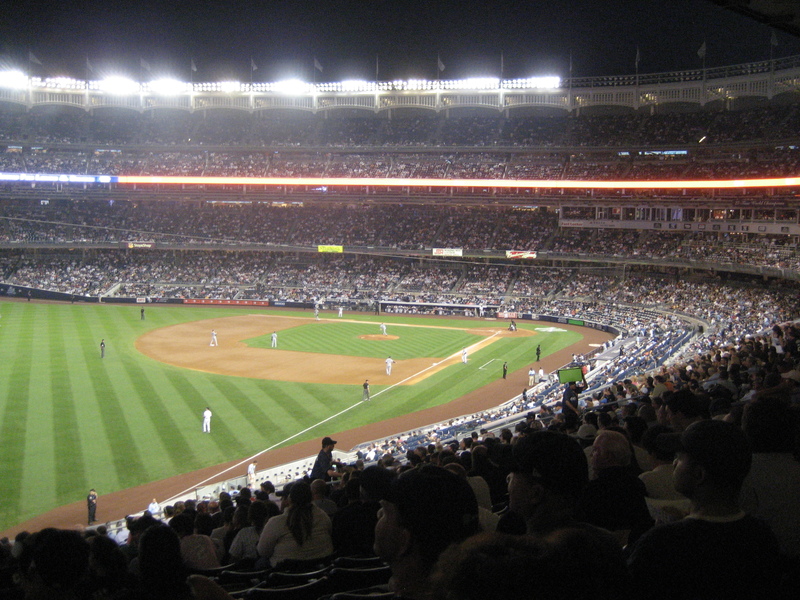 Who are some of your favorite baseball players – and why? Josh Reddick of the A’s just hit a home run, making the score 4-0 against the Giants…yes, I am multitasking, reading your blog while I watch this exhibition game. I have also read Maraniss’ book on Clemente, I thought it was very well written. Looking forward to your top 5! Ouch! Thanks for the update on last night’s game. The A’s have been pretty tough on the Giants during the regular season for years. I miss those foggy nights with all the damp air!